Designated as a bird sanctuary by Teddy Roosevelt in March 1903, Pelican Island became the first National Wildlife Refuge in the United States. Pelican Island NWR is located within the Indian River Lagoon, the most biologically diverse estuary in the United States. The refuge is famous for its Brown Pelican rookery, but 15 additional species also nest on the 4.2-acre Pelican Island, including Wood Stork, Anhinga, American Oystercatcher, and many herons and egrets. At least 15 other bird species use the island to feed and rest. Although the island itself is off limits to visitors, it is viewable up close from a boat (keep outside the closed area) or from a distance from land. Take the ¾ mile Centennial to an elevated observation tower with two fixed viewing scopes, one of which is wheelchair-accessible. 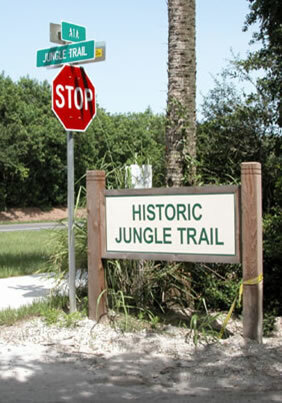 This trail also showcases the history of the National Wildlife Refuge System (great for history buffs). Two additional foot trails (2.7 and 3 miles each) around impoundments and mangroves give additional birding options, including a new observation deck over the mudflats on the Joe Michael Memorial Trail. Roseate Spoonbill and Magnificent Frigatebird are summer visitors, and ducks, shorebirds and American White Pelican overwinter here. Seasonal visitors include Black Tern, Yellow Warbler, Eastern Wood-Pewee and West Indian Manatee. This site has a butterfly garden with two interpretive panels on the refuge’s butterflies and the Monarch life cycle. The checklist contains more than 30 butterfly species; search for Giant Swallowtail, Cassius Blue, Mangrove Buckeye, Mangrove Skipper and Painted Lady. The large and spectacular Malachite, normally found much further south, has turned up here in January. The refuge holds a wildlife festival each March.